NEAR SARAJEVO, BOSNIA AND HERZEGOVINA. 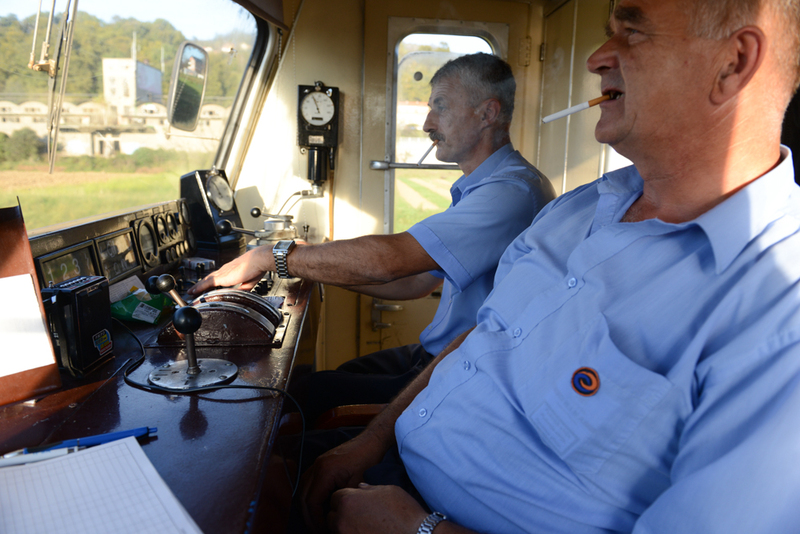 Train conductors Sakib Buzo, 53, and Izet Golubic, 51, drive the train to Doboj from the train station in Sarajevo, Bosnia and Herzegovina on October 20, 2014. Buzo and Golubic said they used to drive routes to Belgrade before the war but those were discontinued after the 1992-1995 conflict and routes to cities like Banja Luka inside the Republika Srpska, one of two entities in the present day divided Bosnia and Herzegovina, were discontinued in only the last few years as Serbian nationalism has been on the rise.